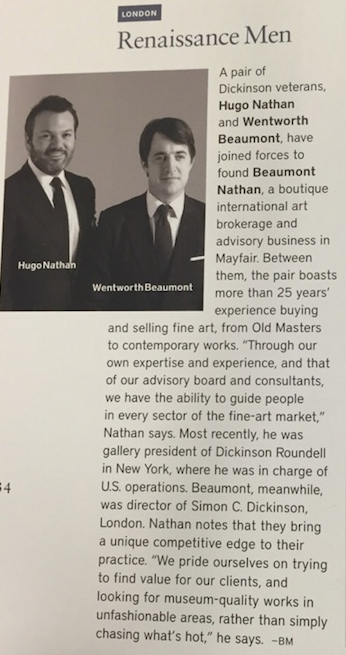 A pair of Dickinson veterans, Hugo Nathan and Wentworth Beaumont, have joined forces to found Beaumont Nathan, a boutique international art brokerage and advisory business in Mayfair. Between them, the pair boasts more than 25 years’ experience buying and selling fine art, from Old Masters to contemporary works. 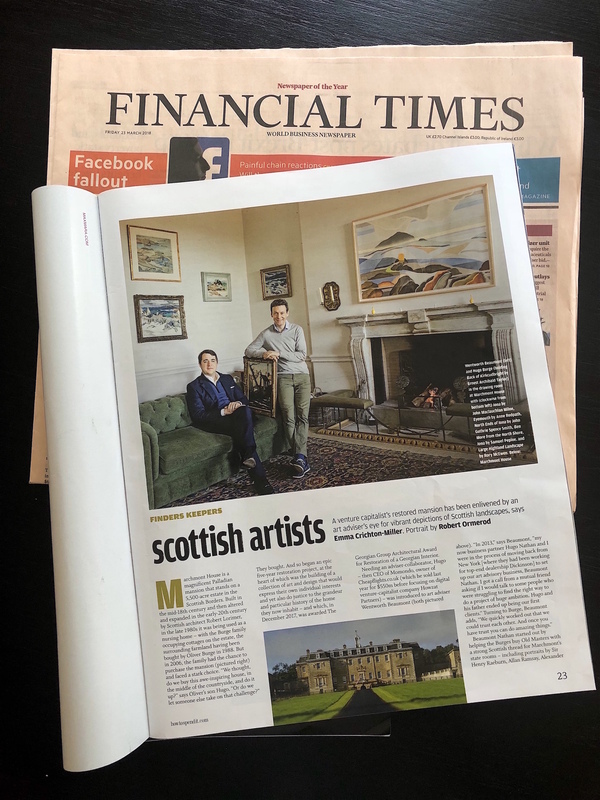 “Through our own expertise and experience, and that of our advisory board and consultants, we have the ability to guide people in every sector of the fine-art market,” Nathan says. Most recently, he was gallery president of Dickinson Roundell in New York, where he was in charge of U.S. operations. Beaumont, meanwhile, was director of Simon C. Dickinson, London. Nathan notes that they bring a unique competitive edge to their practice. 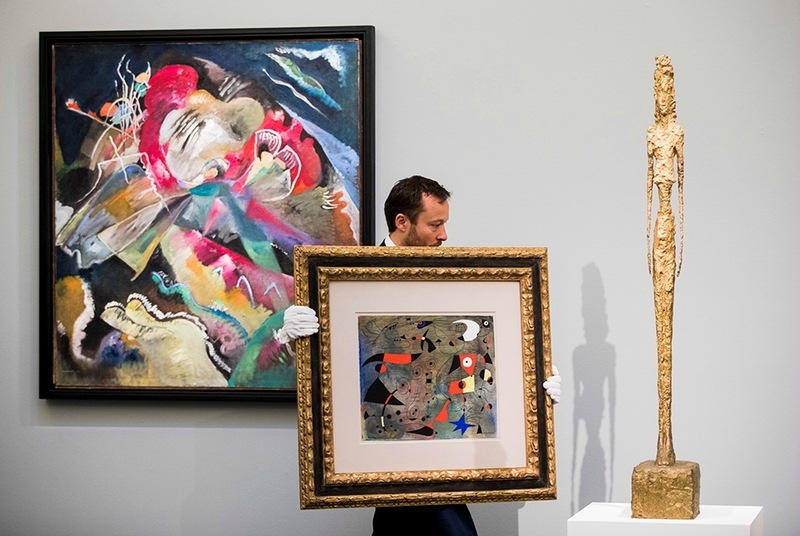 “We pride ourselves on trying to find value for our clients, and looking for museum-quality works in unfashionable areas, rather than simply chasing what’s hot,” he says.